The sides are bent in the normal way, but then two layers of veneer are glued on to the inside for extra rigidity. An accurate interior mould is needed for this. 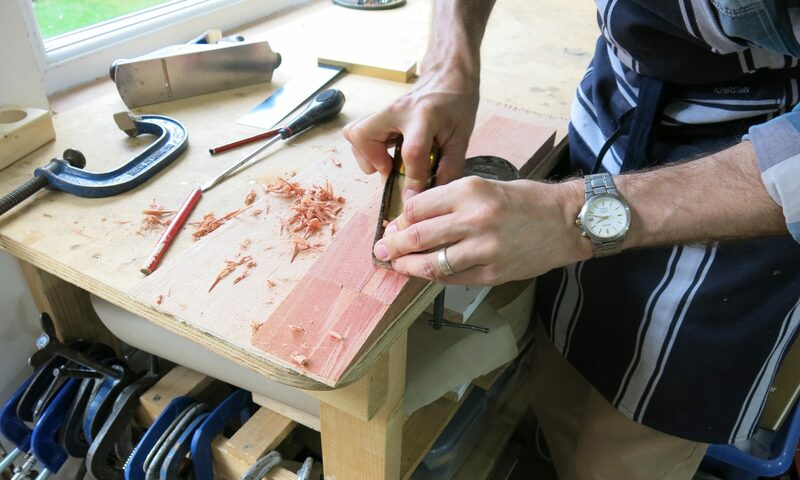 The best way to make it is to shape a number of plywood layers with a router (using a cutter with a guide roller that ensures each piece is exactly the same shape as the others, and then screwing them all together). This mould is also useful for keeping the side in shape while gluing on the kerfed linings.